Blending the thrill of managing a fantasy sports lineup with the opportunity to win real-world money has helped companies like FanDuel and DraftKings change the way millions of fans tune in to football, basketball, baseball, and hockey games. But why should physical sports get all the fun? Now, a pair of startups are bringing that cash-fueled fantasy thrill to the passionate, red-hot world of e-sports. AlphaDraft and Vulcun have launched in tandem with the new season of Riot Games’ League of Legends Championship Series (LCS), offering fans the chance to win real money by creating fantasy League of Legends teams comprised of actual professional LOL players. E-sports have utterly exploded in popularity in recent years. According to video game research firm Newzoo, there were over 89 million e-sports “enthusiasts” last year watching livestreams of pros playing – and even practicing – games like League of Legends, Dota 2, StarCraft II, Counterstrike: Global Offensive, Hearthstone, Call of Duty and Street Fighter IV. An additional 117 million “fans” followed e-sports at a more casual level. Fantasy e-sports has the potential to not only get this audience more active, but attract brand new fans to the fold. 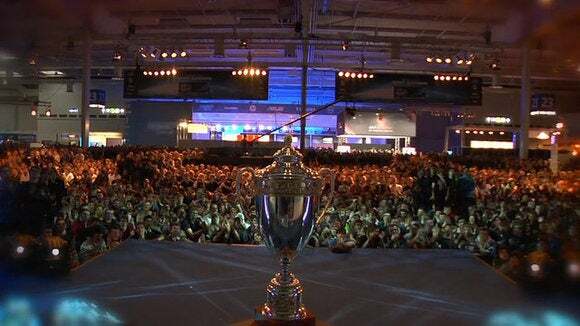 The League of Legends World Championship trophy. Todd Peterson, co-founder and CEO of AlphaDraft, believes League of Legends will see the same type of boost that major sports leagues like the MLB, NBA and NFL have seen from fantasy sports. That’s because fantasy sports players consume twice as much content as non-fantasy sports players due to their fantasy players participating in games across teams, rather than just rooting for a favorite hometown team. For those who haven’t played fantasy football or any other variation of daily or weekly online competitions, it’s pretty simple. 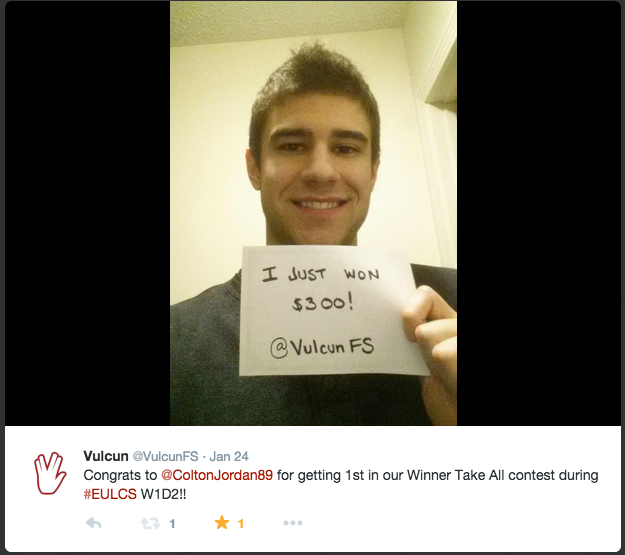 Both AlphaDraft.com and Vulcun.com offer free and paid play options. Players act as a manager and create a custom roster with their favorite North American and European LCS players using a salary capped team budget. 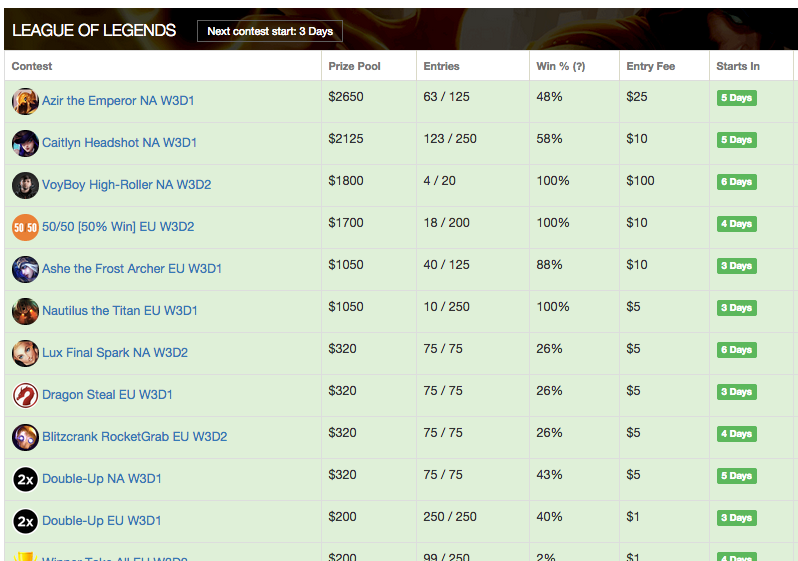 Each custom roster then competes on a daily basis against every other players’ teams. What keeps things interesting is that, much like any traditional sport, strategies will vary from week to week depending on which teams are playing against each other. Vulcun, which has raised over $1.4 million in funding, is ahead in the prize game thus far. The company is putting almost all of its money back into the prize pool, including $1 million for the LCS season this year. AlphaDraft is offering prizes of $500 to $1,000 each week to its players and is currently seeking additional investments to raise those stakes. According to the Fantasy Sports Trade Association, since fantasy sports are games of skill, they are not considered “gambling.” The organization explains that fantasy sports managers must take into account a myriad of statistics, facts and game theory in order to be competitive. There are thousands of websites, magazines and even TV coverage on ESPN and DirecTV covering the fantasy aspect of sports. A fantasy team manager must know more than simple depth charts and statistics to win; they also must to take into account injuries, coaching styles, weather patterns, prospects, and more in order to be a successful. That said, the addictive nature of video games combined with the lure of real cash is not something for kids. Both e-sports fantasy companies are taking safeguards by using third-party age verification services to ensure only legal fans can compete. In addition, on the federal level they comply with the Unlawful Internet Gambling Enforcement Act of 2006 (UIGEA) and on a state level they are not operating in states that have restrictions on skill-based gaming. There are even safeguards against corruption by professional players, in the wake of the CS:GO CEVO Professional League Season 5 incident last August which saw a professional team purposely throw a match in exchange for expensive electronics. Ali Moiz, CEO of Vulcun, said to safeguard against issues like this, they don't allow any current LCS players, team coaches, or team staff to participate on Vulcun. “This removes the personal incentive to pro players for things like match-fixing by removing the financial reward,” Moiz added. 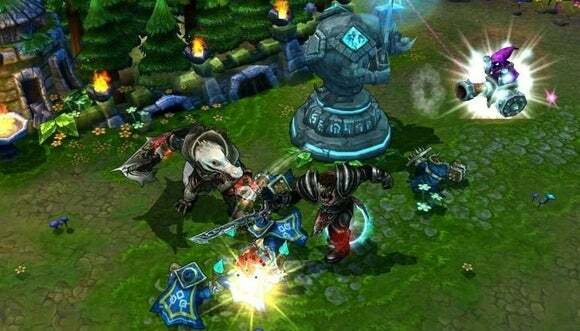 Riot Games, which doesn’t need to give permission to third party companies to use team names and players, did give these startups permission to use photos from the dedicated League of Legends e-sports site. Otherwise, the game developer is focusing on orchestrating another successful season of LCS. This season could turn out to be the most successful ever, something that would likely have happened anyway given the upward swing of e-sports’ popularity. But just as Fantasy Football has made meaningless games exciting, so too could LCS benefit from real money being at stake for the fans out there playing from home. 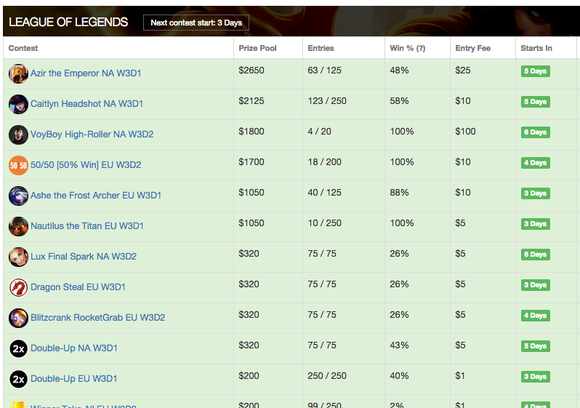 Pro gamers are already making money playing League of Legends. Now fans can earn cash by watching those pros play—just like with real sports.